Henry Margu Accents Hair Caps Range is giving those with Hair Loss another option to wearing wigs. Let’s be honest wigs look great but I am sure there are times when you just need to duck into the supermarket and just can’t be bothered styling your hair. Well the Accent range is ideal for this. The range comes in a Black or a Beige 100% Cotton Baseball cap which is so easy to wear. The Cap has permanently attached hair that requires no styling needed. 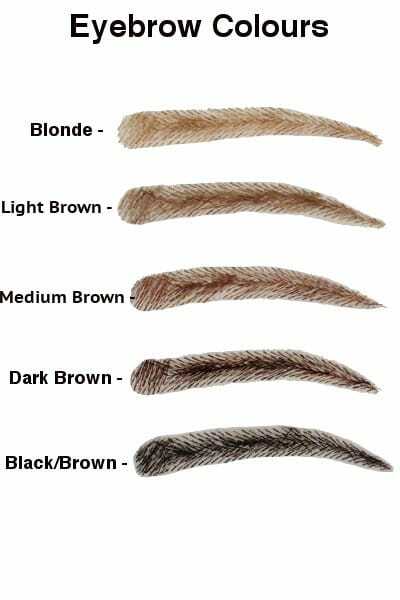 All styles are available in over 11 naturally highlighted colours in three different lengths. There is the Shorty, the Classic and the Long Caps. The Shorty also comes in a small range of grey colours as well. As you can see from the images at the side of this page the cap is adjustable at the back. We have had so many customers who just love them. We have been told over and over again they have had some great comments from others they have come across. When you have strangers commenting on your great style hair you know its a winner. We have all 3 lengths on the website in a range of colours. If there is any other colours available that we don’t have in stock we can order it in for you especially at no extra charge. Just give us a call on 1300 79 75 79 or email at sales@wigsonline.com.au. Easipart is a great option for those clients experiencing partial Hair Loss. It will add volume to your hair in the crown area and fall with your own hair instantly. They have discreet toupee clips that will hold the hair piece securely in place for the busiest of days. We love the Easipart range as you do not need costly hairdresser appointments to wear your hair piece. Its simple and easy to apply and very quickly done. The Easiparts come in Human hair and Heat Defiant Synthetic hair. Keep in mind if you need to colour the hair piece then you need to buy the Human Hair Easipart. The base is made of a monofiliament fibre. Monofiliament is a sheer mesh that allows the hair piece to be styled multi directional. In both fibres the base is 5′ x 2.75′ and weighs 1.03 oz. It has the perfect density of hair that is not too much that looks fake and enough to give you a beautiful look. Next month in March, the Easipart range is going to be extended with longer lengths available. Easihair is introducing 18′ lengths. At the moment the Easipart comes in 12′ lengths in both the Human hair and Synthetic Hair. At the moment we carry a small range of these pieces but we are able to order in any of the other colours and lengths available. Any special orders may take up to 2 weeks to be in stock and are ordered at no extra charge. All you need do to is call Wigs Online on 1300797579 and we can place the order for you over the phone. We all naturally lose hair from our scalp everyday. It can be quite normal to lose 50 to 100 hairs a day without causing any noticeable difference. As we age our hair will begin to gradually thin. Other causes of hair loss include Hormonal Factors, Medical Conditions, Medications, Stress, Hair Pulling disorders and traction hair loss resulting from Cornrows or pigtails. We are all susceptible to different things due to our genetic make up. Men tend to lose more hair as they age than women but not always. Women tend to lose more hair through pregnancy and childbirth. As well, Menopause can also bring on more hair loss. Thyroid Problems – Our thyroid regulates our hormone levels and if this isn’t working then hair loss can be experienced. Scalp Infections – Our scalp gives blood flow to our hair which promotes hair growth. Massaging your scalp is very beneficial to keep the blood flowing and give our hair luster. Skin Disorders – Diseases can cause scarring which can also result in hair loss. Hair loss can be be caused by some medications that are used to treat cancer, Arthritis, Depression, Heart problems and High Blood Pressure. There can be other simple causes like a physical or emotional shock that cause some hair thinning. We are all different and we can all experience different things at different stages in our life. Depending on our excessive the hair loss is, you may require a top piece, 3/4 wig or a full wig. There are many options these days to make it so much easier for the person suffering with hair loss. Check our website at www.wigsonline.com.au to explore these options. We are available by phone to give advice and suggestions to which hair products might suit. Our office is manned from 10am to 5pm Monday to Friday on 1300797579. Hair Loss can occur for so many reasons. It could be stress, illness, hormonal changes, pregnancy, medication or many other reasons. Sometimes Hair loss will occur just on the scalp or it may occur all over the body. Hair Loss on our scalp and our eyebrows would probably be the most concerning areas for many people. – Do some research to find out what type of wig you think you may like. Some people prefer to stay as close to their hair style as possible, while others like to try new styles. -Have the wig ready before you loose your hair so you can chose the wig without the stress that you need one immediately. Also, it gives you time to have a play with your wig and get used to the idea of wearing a wig. – Once you start Chemotherapy you may feel very ill and choosing a wig might be the last thing you feel like doing. -Browse the internet for wigs and styles that you may like. It takes time to decide which wig that you think may suit you. – Have a chat to your hairdresser to see if he /she would be able to help you customize your wig. For example, to cut a few layers or shape a fringe to your liking. – Ask a close friend to have a look at a few different wigs with you. Sometimes your close friends can point out something that you haven’t thought of and help boost your confidence. – Buy the best quality wig that you can afford. Cheap nasty wigs are not going to help you feel good. Sometimes it better to choose a good synthetic rather than a cheap human hair wig. – Consider a synthetic wig as they are easier to care for and they keep their shape after washing. Very little styling is required for a synthetic hair wig. Human hair wigs are luxurious but they do require more styling. – When you are undergoing chemotherapy your scalp can become sensitive. Buy a wig cap to put a barrier between your scalp and wig. – Use good Salon quality shampoo and conditioner to take care of your wig and wash it regularly. – Find out from your health fund or if there are any government assistance funds that can help with covering the cost of your wig. – If you lose hair on your eyebrows consider false eyebrows, they are not that expensive and they will make you feel like you. Our Eyebrows gives our face definition. We are so used to seeing our eyebrows in the mirror that we feel very odd without them. – As well as False Eyebrows there are some very simple to use false eyelashes that can help as well if you feel the need for them. – Remember we are all different and what feels right for one person may not be for someone else. Do what makes you feel good. And don’t forget to ask for help – true friends and family never mind giving a helping hand.